Drumming workshops FOR BOTH CHILDREN AND ADULTS (Toni is experienced in working in schools and colleges and has regular CRB checks), drum clinics for concerts, festivals and more - tuition for individuals and groups .. Also available for studio session drumming work. I am committed to promoting the art of drumming in a positive and motivational way. My workshops are devised to give both children and adults an insight into the world of drumming. With my experience I am able to demonstrate and explain in a way which is accessible to all. Some of my recent clinics have covered subjects like rudiments, world rhythms (including Latin and Afro Caribbean), the history of drum kit playing and the different styles of music over the last 100 years. 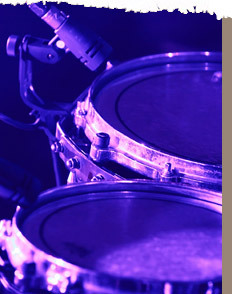 Students will learn playing and listening skills in a group, coordination and of course drumming skills and much more. I conduct regular drum workshops in various schools. I have conducted major drum workshops for the Sheffield Childrens’ Festival for the last 10 years. Would you like me to bring one of my drum educational workshops to your school or college? Please [CONTACT ME] to discuss requirements, rates and availability (I have regular CRB checks). I am available to perform drum clinics. 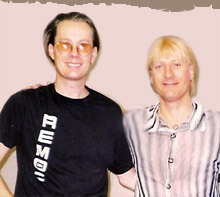 As a drum educator I have performed many workshops and clinics including the first Scottish drum Festival alongside Greg Bissonette (Ringo Starr’s drummer). 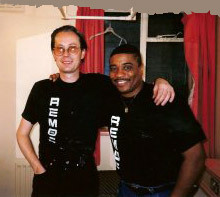 I have performed joint clinics with Ricky Lawson (Phil Collins’s and Michael Jackson’s drummer), Jim Chapin (top U.S. drum educator), Mike Mangini (drummer with Steve Vai and Extreme), world renowned American drummer Dennis Chambers. 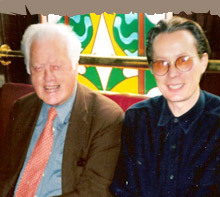 I have also worked alongside Gavin Harrison (drummer with Porcupine Tree and King Crimson) and world class percussionist and drummer Danny Cummings. Please [CONTACT ME] to discuss rates and availability. I am available for session work in recording studios. I have over 30 years professional experience and have done hundreds of recordings. Please [CONTACT ME] for rates and availability. Copyright © 2007 Toni Cannelli, All Rights Reserved.